Before I start, I just have to say happy first anniversary to my blog. I was so surprised that it had been a year since I had started writing it. I have made friends and relatives that I would never have met if it weren’t for this blog and I have enjoyed it immensely. I look forward to the coming year and getting to know more of our ancestors. It fills me with pride to bring you our family Veteran’s post 2014. We thank each and every veteran from the bottom of our hearts for your service, sacrifice and we salute you! In 1942, Timothy enlisted at the age of 15 into the Merchant Marines with his mother’s permission. I don’t know about anyone else but I have a tough time letting my teen son go to the store alone, so Tonita must have been terrified and yet confident at the same time. Of course, my dad would say he was already grown at the age of 15. This is one of the training schools he attended. As you can see, he was at the top of his class. Dad said his brothers and his brother in law Sam Saiz taught him everything about being a mechanic. 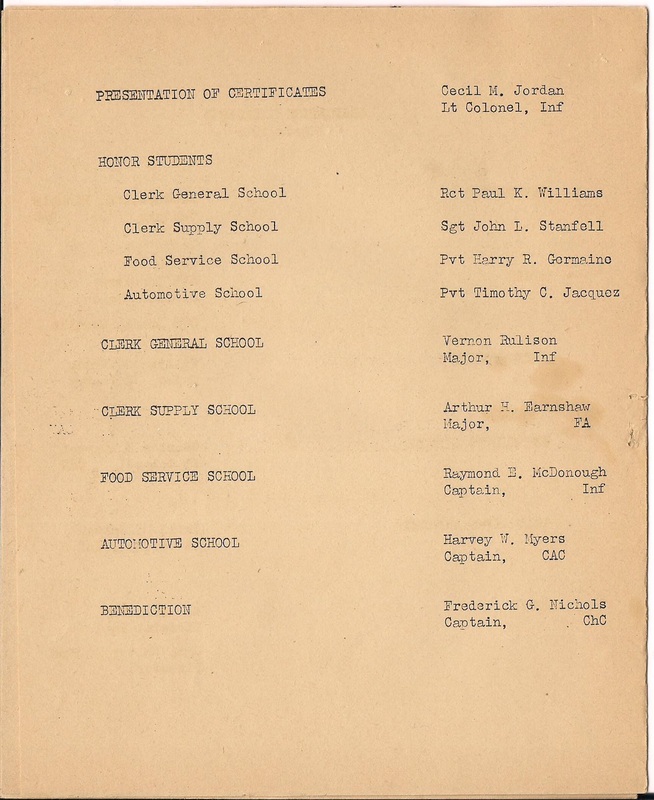 After the Merchant Marines, he joined the Army. He went through basic then traveled to Japan and Australia. He was undecided when his last tour was up if he would re-sign or if he would return to his home in Stockton. He finally decided to leave the army and the following month the unit he had been with left for Korea. Thanks, Daddy, for your service. He and my father were also double first cousins (and a brother to Viola). He, too, served in WWII. This article is from the Farmington Times and was published on August 21, 2009. FARMINGTON — Telesforo “Archie” Archuleta was a survivor. But to his family and friends, he also was a hero. The Blanco resident witnessed some of history’s most famous and horrific events. He not only survived the Battle of Bataan, the Bataan Death March and 40 months as a prisoner of war of the Japanese army during World War II, but he helped others to survive. Archuleta, 94, died peacefully Thursday at home in Blanco. Born on Nov. 5, 1914, Archuleta was raised on a ranch in Blanco. His mother died when he was 14 years old and he left school to care for his younger siblings. 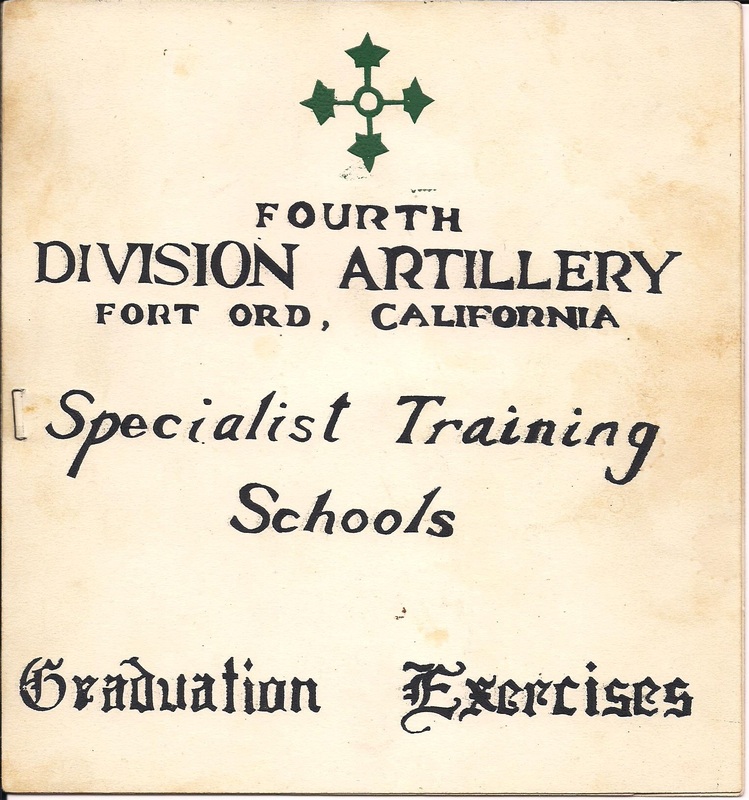 Archuleta entered the U.S. Army on Nov. 21, 1941, and was assigned to Battery G 200th Coast Artillery, as part of the Asiatic Pacific Theater. He was a member of a Coast Artillery gun crew and received two campaign stars for operations in the Pacific theater. He was captured by the Japanese during the three-month Battle of Bataan and became a prisoner of war. Archuleta was forced to march 60 miles along the peninsula to prison camps during The Bataan Death March in 1942. He was sent on a “hell ship” from the Philippines to Japan to mine ore and coal for the Japanese war effort because he was one of the stronger prisoners. Approximately 75,000 American and Filipino prisoners of war captured by the Japanese were forced to march. Approximately 1,800 men from New Mexico were sent to the Philippines and 900 survived the battle for Bataan, the death march and the months spent in prisoner of war camps. the younger boys alive,” Archuleta’s daughter Caroline Poore said. 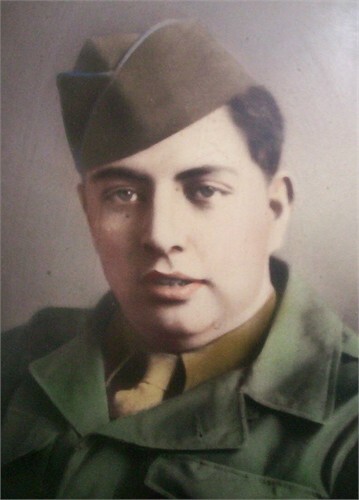 Archuleta returned from the war in 1945. 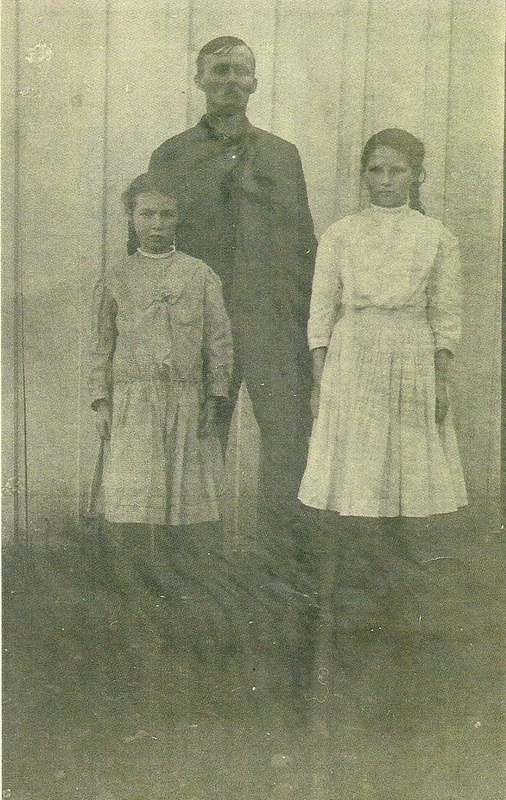 When his sisters went to The Presidio in San Francisco after Archuleta arrived on a ship, they couldn’t find him even though officials ensured them he was there. “He was so decimated and sick, they didn’t recognize their own brother,” Poore said. A man who averaged 150 to 160 pounds only weighed 78 pounds when he was rescued. 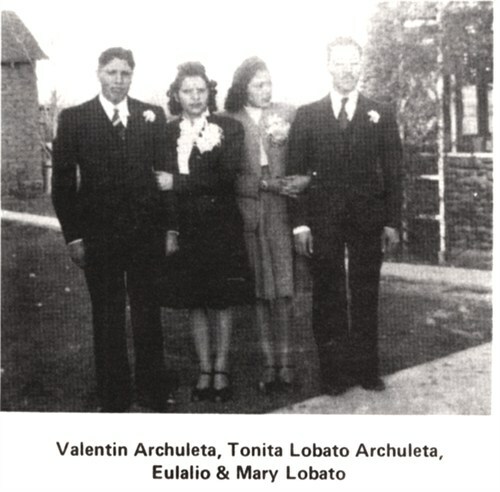 Archuleta recuperated enough to come home to Blanco and marry Tonita Archuleta on Dec. 3, 1945, before he was sent to a hospital in San Antonio to continue his recovery. He suffered hearing loss from continued beatings to his head and balance problems, Poore said. He dealt with starvation and suffered every disease from dysentery to malaria while a POW. He never spoke of his time in the prison camp or about the horrors he witnessed during the war. 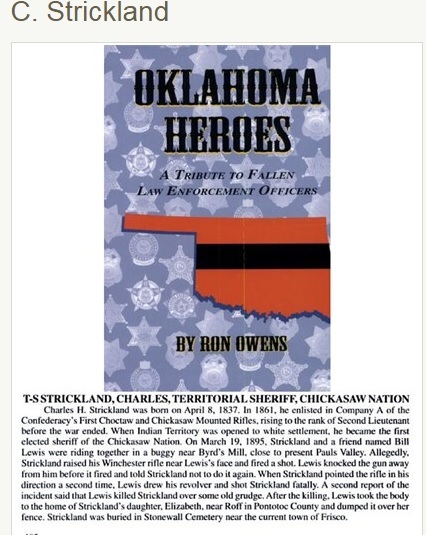 It wasn’t until years later that his family learned about his heroic efforts. Charlie Sanchez, a fellow POW, told the family on Archuleta’s 50th wedding anniversary, how his life was saved on the hell ship. The ships were packed so tightly and there was no air, water or food. If a man slipped and fell down, he would get suffocated, Poore said. “Dad tied (Sanchez’s) belt to his own and held him up throughout the trip,” Poore said. Poore and her sister, Erlinda Miller, recalled another story of Archuleta helping another prisoner. Many of the men who worked in the mines didn’t have shoes. Often they would suffer from frostbite and gangrene and eventually die. He kept the stories to himself, his daughters said. “One summer, when we were kids and complaining about what we were eating, my father slammed his hands on the table making the plates jump,” Miller said. “Listen here,’ my dad said, if you ever had to eat a rat, you would never complain about what you had to eat,'” Miller said. Archuleta returned a quiet man who had high morals and standards, his daughter said. Now that is an amazing story and I am so proud to have that person on my tree. Thank you for your service. 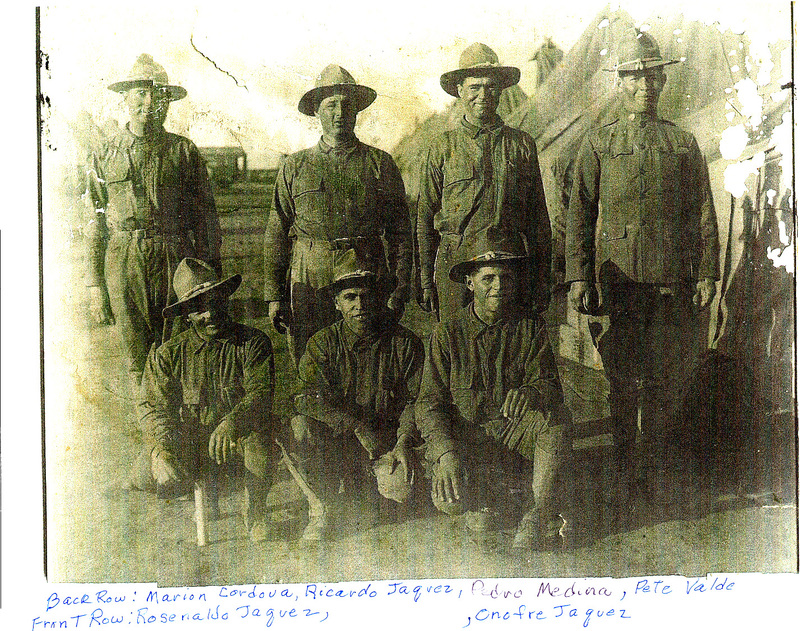 Onofre Reyes Jaquez trained at Camp Kearny in San Diego, CA and also trained in Camp Funston in Junction City, Kansas. Thank you for your service. Job Hardin is a brother to Ambers Hardin, who was my grandfather Charles Hardin’s great uncle. He served in the 40th Alabama Regiment as a Private in Company K and participated in the Battle of Vicksburg. Thank you for your service. Peter Dunkin is a grandfather to Mary Elizabeth Dunkin and a great-great grandfather to Charles Hardin. He served in the 10th Regiment of Sargent Sharp’s Company. Thank you for your service. This is just the tip of the ice berg. There are many heroes who sacrificed their time and in some cases their lives to continue the way of life that we have carved out, one day at a time. 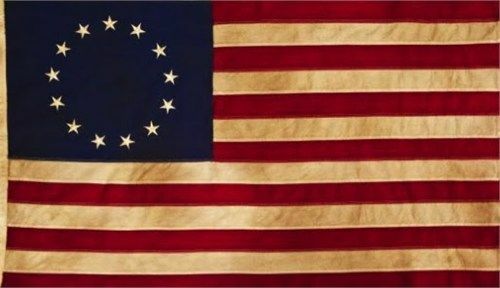 To the many women and men who have served more recently, please stay safe and Thank you for your service. It seems like it has been a long time since I’ve posted to my blog, but I’ve been doing additional research on several people. I have a big question mark on a piece of information that I wish I’d had the foresight to simply ask my Grandmother Flora: “When did your father die and where is he buried?” Simple question, right? So while I am on my soapbox, waxing philosophical about jumping back 34 years and asking my grandmother the simple questions, my hope is that you are inspired to ask questions now. Don’t wait. It is so important; there is information that only your parents, grandparents, and great-grandparents can give you about your family, their history, and where our families fit into history as a whole. Okay, that’s done. Back to 2014 (or why I am ready to pull my hair out). Henry Carter Burgess was born on March 4, 1872 in Kiowa, Kansas. His father is John W. Burgess and his mother is Rutha Cox Burgess. Full house. John W. Burgess was a farmer and with the help of son William L.A.. Perry Burgess was working in a Flour Mill. George W. was working at a bank. Chetopa was the third largest incorporated City in Labette with both banking facilities and a flour mill. This town was lit with electricity and natural gas, waterworks, a fire department, three public schools, an opera house, church buildings, 2 newspapers and a creamery. That’s some plush living, right there. Historically, in 1893, President Grover Cleveland had appointed the Dawes Commission, named for Senator Henry Dawes. This commission and the President of the United States allowed the Indian Territory to be broken up into small allotments, to be parceled out to individual Indians. The Five Civilized Tribes were excluded from this policy originally but then were included. The thought was that if Indians had ownership of their own land they could be assimilated into neighborhoods. This policy had a great effect on Henry Carter and Willa Burgess. Now, since we don’t have the 1890 Census, if we instead look to the 1900 Census, we find two things. First, we find his father, John W. Burgess, living with Henry Carter’s brother, James E. Burgess, age 24, along with his wife, Maggie, age 16 and a nephew by the name of Ardee Hardin, age 8. John W. is now 68 years old and a widower. They live in Township 6, Choctaw Nation in the Indian Territory. Same place that Willa Adkins, Henry Carter’s bride, lives in 1900. However, we also see Henry Carter Burgess living with someone else, his younger brother, Alford. Henry Carter is 28 years old, his brother 22 and Alford’s wife, Ivy, is age 18. They are living in Joplin, Missouri. Now, because of the letter Grandma Flora wrote to me, we know more about this time period in his life than any other. Henry Carter doesn’t show that he is working in 1900 but Grandma Flora says that he was in ill health. She says that he traveled from Joplin, Missouri to the Indian Territory for his health. We know he becomes taken with an Indian maiden. We know that Willa’s father agreed to the marriage because he had told another daughter she couldn’t marry and she killed herself. He wasn’t willing to risk losing another daughter. I, for one, am very grateful. 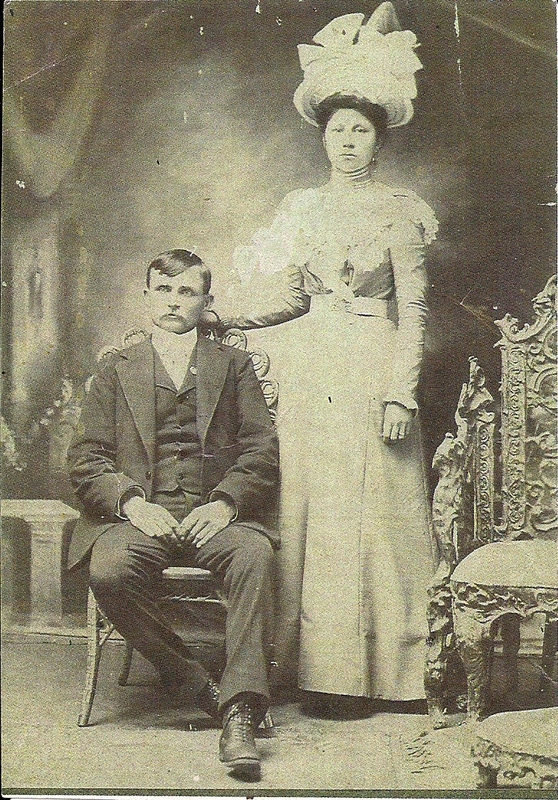 Henry Carter Burgess and Luwilla Adkins were married on February 17, 1901 in Durant, Oklahoma. I have looked at a lot of people on my family tree and a lot of relationships, good and bad. I think, during a period of marriage of conveniences, Henry Carter and Willa were a true love match. 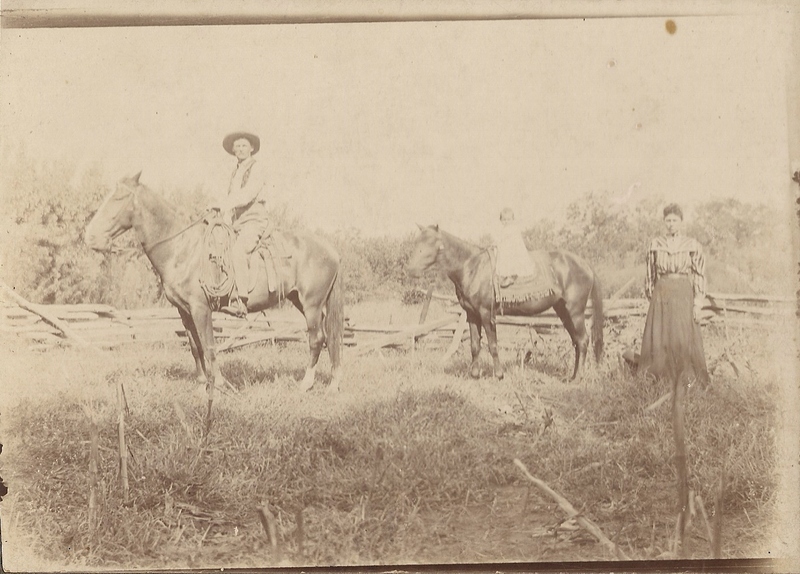 According to Grandma Flora, he wasn’t much of a catch for a young woman and Willa’s father probably had his reservations, but Henry C. took over the duties at the ranch that Richard Adkins owned/ran. They had a small log cabin that they made into their home. 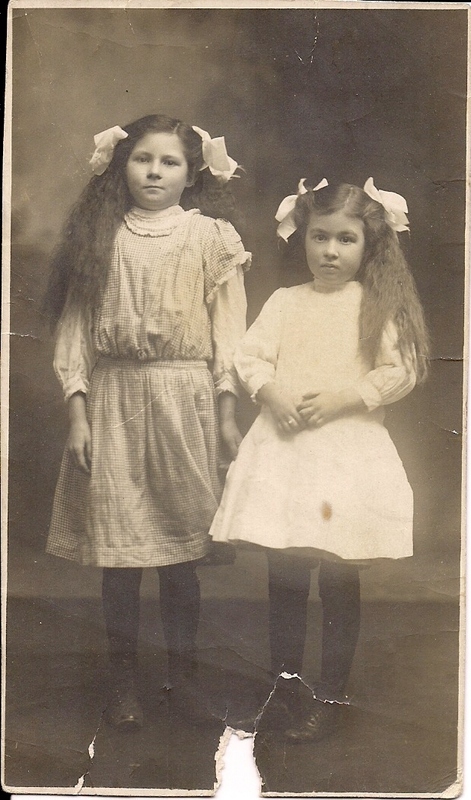 Their first daughter Flora was born May 27, 1902. Within two years, Richard Adkins is forced to give up his property, is enrolled on the Dawes Roll, and is included in the land allotment. Henry Carter and Willa moved back to Joplin, Missouri where his brothers still lived. She talks about being in Joplin and how her uncles adored her and how much she is loved. 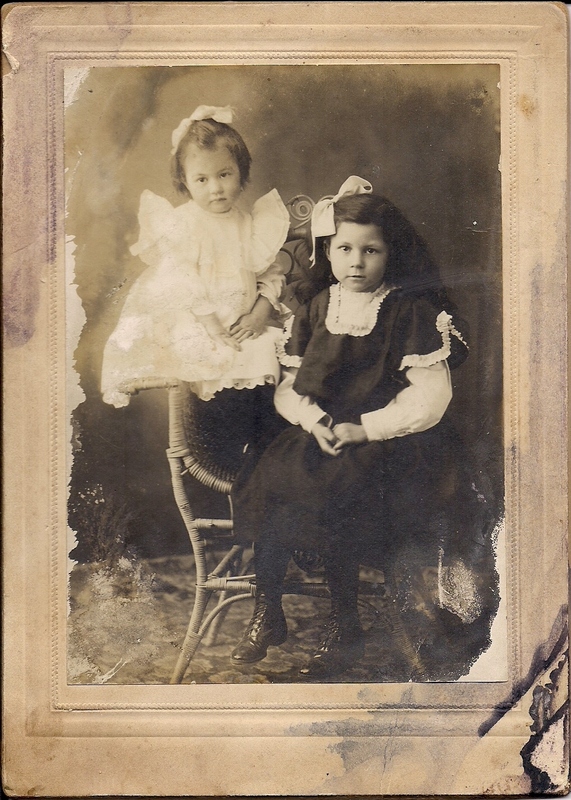 Her little sister Ovola is born in Joplin in 1905. Henry found work with his brother John. I have heard from a distant relative by the name of Melvin Bowman. His mother was Marjore Burgess, daughter of Ora Lee Burgess. 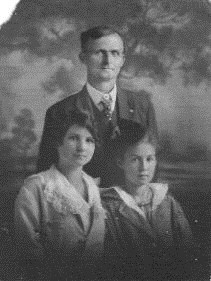 Ora Lee was the son of John Burgess. Mr. Bowman has a photograph of Henry Carter and John Burgess and has promised to get us a copy of it. I can’t wait! But, what I do have are pictures of the girls. I think their mother must have been alive when this picture was taken but I wish she were in it. But it is such a sweet picture of their girls. These are a few other pictures of the girls when they were very young. Henry Carter suffered from “La Grippe”, something akin to the flu. The doctor suggested a change in climate. 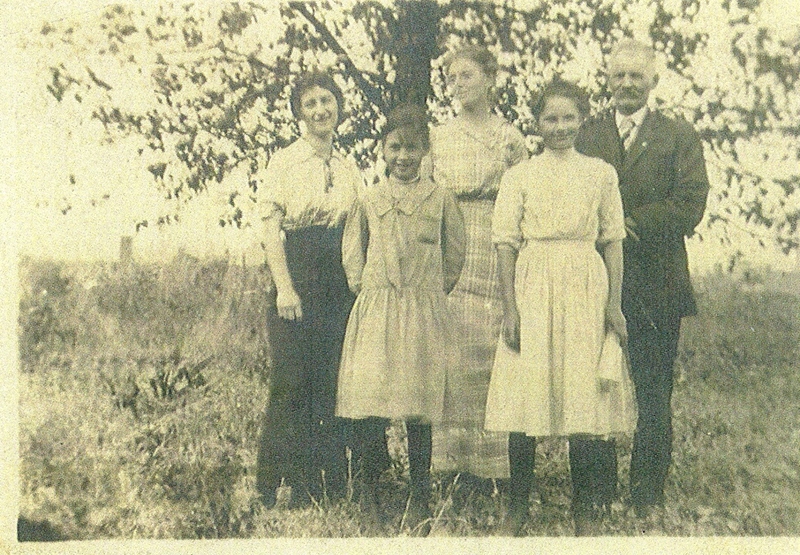 Flora says that their neighbors, the Buffingtons, had a daughter who had married and moved to Washington State. In fact, Henry Carter had also been very deaf as his hearing had suffered from chronic infections, meaning he would have to read his wife’s lips. So they packed their meager belongs and headed to Washington State. We know they traveled by train because Flora said she ran the length of the train looking for her Uncle John. The year was 1907 and Henry Carter was paid in script. When they were in Joplin he’d had a job delivering water to the mining camps surrounding the city. All of the money paid to Henry Carter in Joplin was paper money. However, when they arrived in Washington, they were paid in gold. Henry Carter Burgess always loved the land. He rented 10 acres of alfalfa close to the Yakima River, from which he irrigated. But this was bad luck. He paid $100 for a cow which was an enormous price in 1907 and one week later the cow ate too much green alfalfa and died. During the week, the cow had kicked Willa and knocked her down. She was wearing a white apron, was bloodied and still managed to get out of the barn and wave at a neighbor passing by for help. Flora started school in Yakima, about one half mile away. If it was raining or snowing, her father would hitch up the team to go get her from school. Here is the directory listing showing Henry Carter Burgess living in Yakima from 1908. Willa did not want anyone to know she was part Indian. One day Flora went home from school asking her mother what nationality she was. Flora was proud that she had learned such a big word, but her mother quickly told her it was no one’s business. 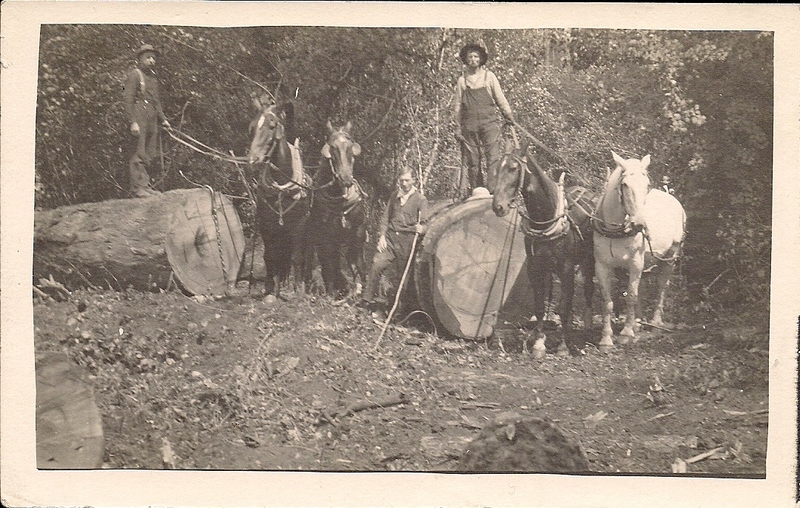 Henry Carter had always wanted his own farm, so they had filed on a homestead in Washington called Horse Heaven Country. 320 acres. He was in 7th heaven, but soon Henry Carter would end up very disappointed and unhappy. The rancher next door had previously been using the 320 acres for free, so he made life so miserable for them that Willa said she did not want to live there anymore, that she wanted to live in peace and harmony or not at all. The rancher succeeded. They moved to Battle Ground, Washington where Henry Carter went to work for a saw mill owned by the Blair Brothers. 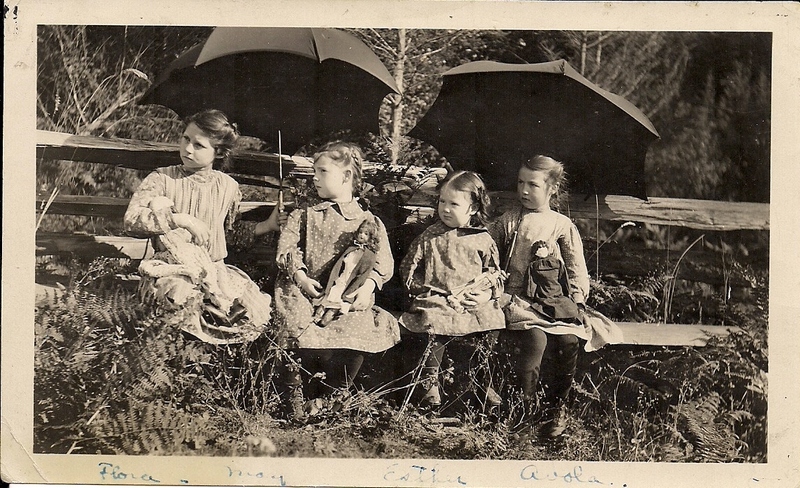 They lived in a big house and Willa kept busy cooking and Flora was in school. 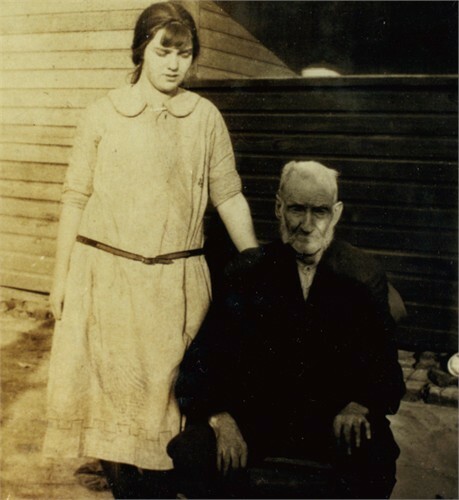 By 1910, Henry Carter and Willa had saved enough money to buy 15 acres of land at Prebstal, where Henry Carter built a four room house on the land. While he was building the house, the family lived in a chicken house and Willa caught a cold that turned into consumption. She lived two weeks in the chicken house, two weeks in her lovely little house, two weeks in the hospital and then Willa passed away. This was on November 14, 1910. As Flora says in her letter, this was a terrible shock. It makes me sad when I get to that part of her letter. Worse, that is where the letter she wrote me stopped. It must have been so traumatic. Henry Carter continued working and found someone to help him with the girls. 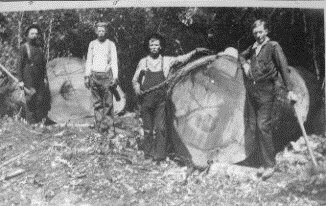 First, they lived with a Methodist preacher while Henry Carter worked at a mill. 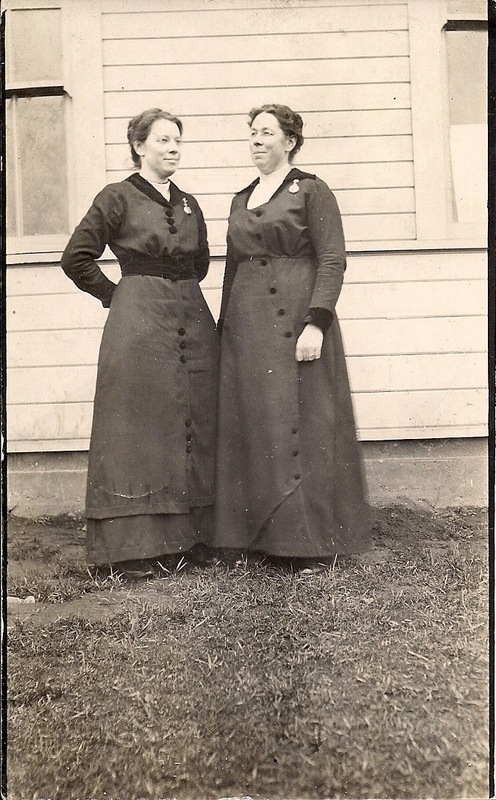 After that, two spinster sisters, Ruth Whipple and Marie Whipple, took the girls in. 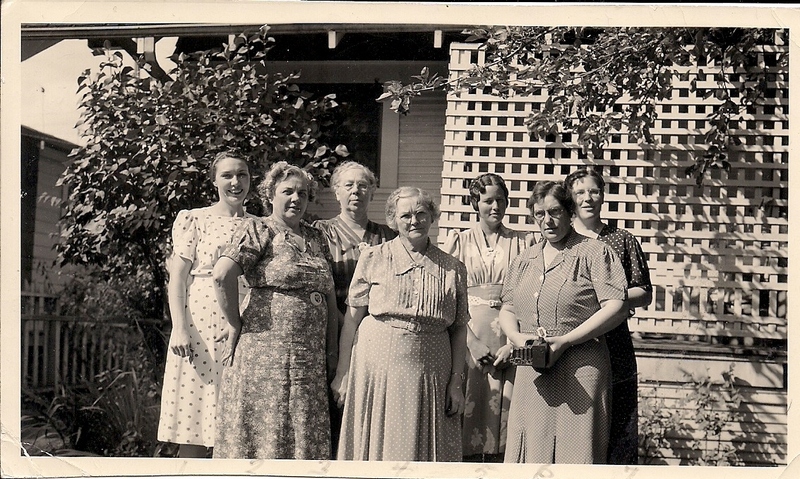 Henry Carter was working at a logging camp while the Whipple sisters took care of the girls. I know that they were kind to them because my grandmother spoke very highly of them. Marie Whipple was a school teacher and I suspect this is where Henry Carter Burgess had met them. They took the girls in and made them feel like family, as if they weren’t orphans. Henry Carter Burgess eventually moves back to Missouri, Kansas, and Texas. By 1920, he is living with Ovola in Texas and Flora is living in Tulsa, OK and living as a boarder in someone else’s home. She married Charles Hardin by 1921. 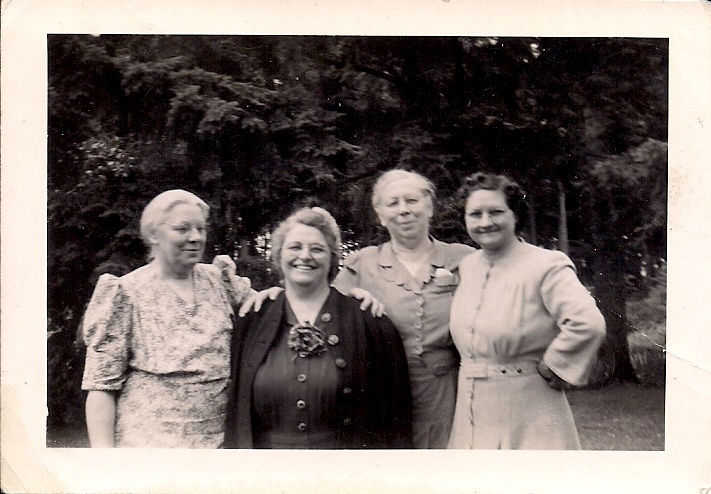 Eventually, Flora goes back to see the Whipple sisters 27 years later, to thank them and to tell them in person how much she appreciated their love and kindness. Flora stayed close to her father. She loved him greatly and he loved her equally. And now I’ve lost him. 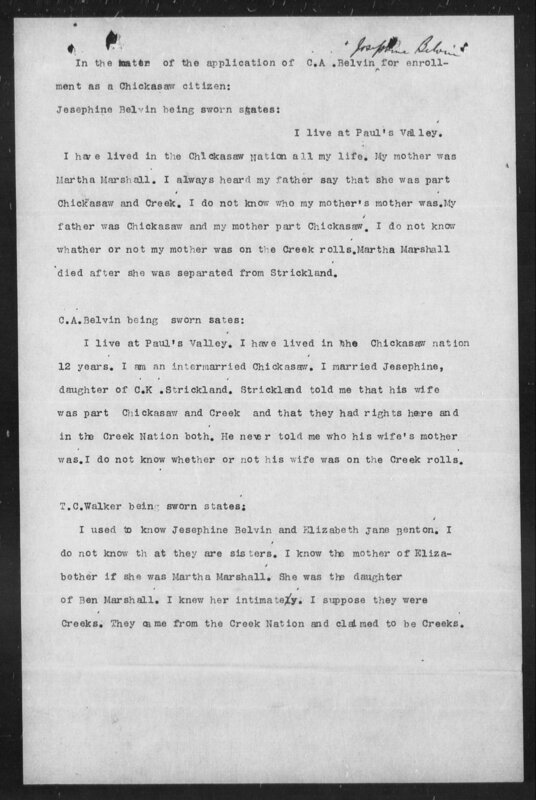 I finally came across one scrap of paper where my mother had written down that he died in 1928 and that he was in Kansas. Easy, right? I’m thinking, should be easy to find. So first I added the year 1928 to his profile. Nothing. Then I decided to use a different site. I went to Family Search and I got a hit. I was so excited. It came up with a specific date in 1926. I then put that specific date into Henry Carter’s profile and instantly got a hit. I was so excited. I thought, lord, that was too easy. I pulled up that hint and it led me to the Find a Grave website. I was so excited, I thought, this is so great. I’m going to have a picture of his headstone. How great is that? I pulled up the headstone and yes, it was Henry Burgess, but definitely not my Henry Burgess. I was so sad for myself. So my search continues. Lots of questions, few answers, and more questions. Henry Carter Burgess died sometime in the late 1920’s and I have not found him on the 1930 census so I am sure that date is in the right range. I will persevere until I find the right answer. Maybe at some point I will get to place some flowers on his grave and tell him that his daughter Flora loved him and thank you for raising those girls by himself. He did a great job.